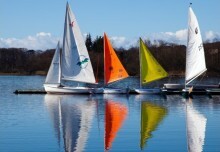 On completion of this course you should be able to sail in all directions in light conditions under supervision. Click here to view upcoming dates for this course. For more information or to make a booking contact our outdoor activities team by e-mail or call Castle Semple on 01505 842 882 ex 21. Click here to view upcoming dates for this course. For more information or to make a booking contact our outdoor activities team by e-mail or call Castle Semple on 01505 842 882 ex 21. This 2 day course will consolidate the skills learned during the level 1 and 2 courses and give you a taste of more advanced modules. 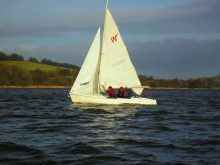 You will develop confidence in your sailing skills by sailing independently and learn about racing and seamanship. Click here to view upcoming dates for this course. For more information or to make a booking contact our outdoor activities team by e-mail or call Castle Semple on 01505 842 882 ex 21. .Click here to view upcoming dates for this course. For more information or to make a booking contact our outdoor activities team by e-mail or call Castle Semple on 01505 842 882 ex 21. Here you will learn the fundamentals of getting off the start line and round the course. This 2 day course is a great way to develop the skills required to start club racing including how to maximize speed and outwit your opponents. In order to participate in this course you must have solid level 2 ability. Click here to view upcoming dates for this course. For more information or to make a booking contact our outdoor activities team by e-mail or call Castle Semple on 01505 842 882 ex 21. This course is available to all children aged 8 or above. Click here to view upcoming dates for this course. For more information or to make a booking contact our outdoor activities team by e-mail or call Castle Semple on 01505 842 882 ex 21. On completion you will be able to sail a dinghy around a triangle in moderate conditions. This course is available to all children aged 8 or above. Click here to view upcoming dates for this course. For more information or to make a booking contact our outdoor activities team by e-mail or call Castle Semple on 01505 842 882 ex 21.